"As Pastor of Pipeline Church, I'm excited to see what God will continue to do with His church as we lead out in this fresh expression of His work." Growing up in a pastor’s home in Southern California, Jeff experienced a call to ministry in a powerful way while on a mission trip in Siberia, Russia. Jeff attended Azusa Pacific University (’94-’98) on scholarship for both Track and Football where he was a 8-time all-American and a 4- time national champion with the track team. With a degree in both christian ministries and philosophy. Jeff married his college sweetheart (Cindy Dykstra) shortly after graduation from APU and began the journey of leading within the church full-time. For the last 18 years, Jeff and Cindy Atherton have served as a response to the call of God in their lives. Today, Jeff and Cindy live in Visalia and have three beautiful daughters: Rylie (15), Rhayana (13), Rowyn (9)- all the girls attend Central Valley Christian school and love serving at both school and church. Jeff is a passionate speaker who loves sharing from the word and working with just about any group that offers an opportunity. Tim and Jordan Woudenberg grew up in the Finger Lakes region of New York and have recently made their home in Visalia, California. Having met in Elementary School, Tim and Jordan have been side by side since. Both Tim and Jordan graduated from Clarks Summit University in Clarks Summit, Pennsylvania, where they both played soccer. Tim holds the Youth Director position at Pipeline.Church, as well as helping out with our A/V Team on Sundays. Jordan works as the Junior Account Executive for Too Faced Cosmetics full time and also helps to lead the youth ministry at Pipeline.Church, as well as serving with our Worship and Food teams. Both Tim and Jordan have a desire to impact the lives of the students that they meet and have a heart for the growth of Pipeline.Church. They are passionate about this path that God has taken them down and look forward to the years ahead serving in Pipeline.Church. A native of Exeter, California. She attended Mid America Christian University in Oklahoma City, Oklahoma where she played volleyball and basketball. She graduated in 1997 with a major in Business Administration and a minor in Theology. 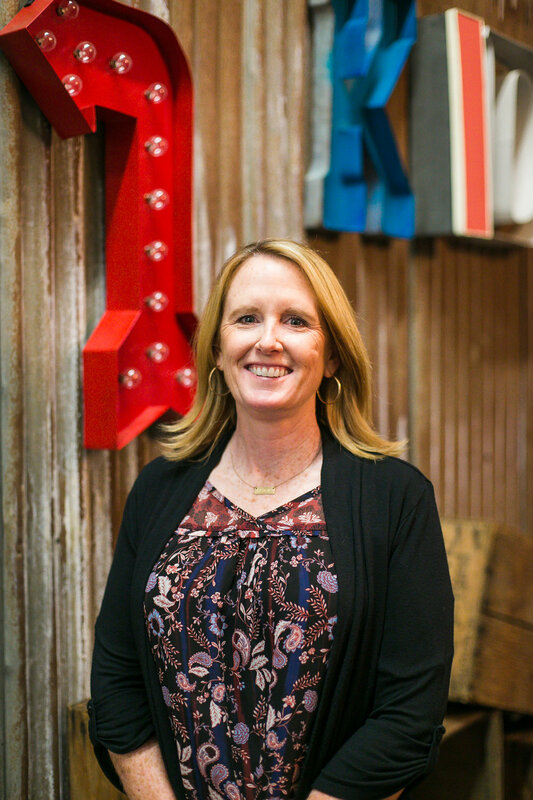 Besides holding the title of Children’s Director at Pipeline.Church, Brooke also works at Central Valley Christian Schools as the Elementary Physical Education teacher and Middle School Athletic Director. She and her son Sam live in Visalia with their dog Dixie. Brooke’s passion is teaching and mentoring school age kids and she loves to act their age. Her blood bleeds blue for the Los Angeles Dodger and Denver Broncos. In her spare time, oh wait, she doesn’t have any spare time. She loves tacos and frozen Reeses. Nic and his wife Leslea both grew up in Visalia. Nic attended CVC K-12th and Leslea graduated from Mt. Whitney. Nic was called into ministry while pursuing a criminology degree at Fresno State and working for the Fresno County Sheriff’s Department in 2003. In 2004, the second semester of his senior year, he left Fresno State and began attending Calvary Chapel Bible College where he received a Bachelor’s in Biblical Theology. In 2005, he proposed to Leslea and she shockingly said yes and they were married in December of that same year. Since 2005, Nic has been in full time ministry primarily working with Jr High through College aged students during that time. Over the years, it became clear that Nic had a gifting for organizational leadership: setting up systems and structures, training volunteers, and a call to teaching. This led him to take a call as the Executive Pastor at Pipeline Church in 2018. Nic and Leslea have 4 daughters: Grace, Cassidy, Evelyn, and Grace. Leslea and Nic haven’t had a good nights sleep since 2011! When Nic isn’t picking his daughter’s hair and glitter off himself, he spends his time obsessing over the San Francisco Giants lineup both in season and during the offseason, as well as planning the next family getaway. Kailee grew up on a horse ranch in Minkler, CA where the population included 30 whole people. Feeling the need to get a taste of the “big city,” she made her way to Reedley, CA daily to attend Immanuel High School. It was there, that she was given her first opportunity to lead worship and developed a passion for music. Looking back on those days, it’s amazing to recognize that God was preparing her for a call that would come much further down the road of life. Kailee and her husband Keith, live in Visalia and she spends her days raising her two small humans, Weston and Bristol. When she’s not wholly focused on the deeper meaning of worship lyrics and chorus composition, you can find her trying to catch just enough sleep to keep functioning and providing a seemingly endless supply of food, beverage and entertainment for the people of her “village”. Along with leading worship weekly at Pipeline.Church, Kailee is the responsible for the operation and support of planningcenter.com, our service and ministry team scheduling software. Pipeline.Church would not be able to adequately live up to the belief that Saved People Serve People without the tireless work of this “rockstar” leader! If you have that strange feeling that you’ve seen our worship leader somewhere, … Kailee is also an amazing makeup artist who specializes in bridal makeup. In fact, on most Saturdays, you can catch her humming worship choruses at wedding venues throughout California helping brides get ready for their big day.